The frosty starts to the days make me want to grab my camera the moment after I get outside. This morning everything was foggy and frosty, everything looked so serene. 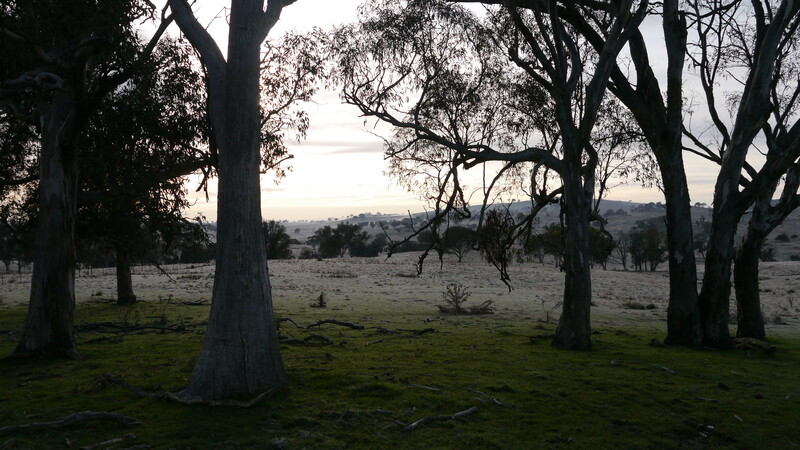 I had to wait until we arrived at the farm to be able to capture it so this was the view just as I got tout of the Ute. Today was just another day at work, another day in beautiful surroundings. The job is hard work… But I like it! 28 Aug	This entry was published on 28/08/2012 at 12:58 and is filed under Uncategorized. Bookmark the permalink. Follow any comments here with the RSS feed for this post. didn’t think they got frost in Australia!!! neither did I until I got here!